WOMBATT has commercialised iVOICE, a voice based driver fatigue prediction and detection system invented by the Centre for Space Medicine at University College London. A combination of voice analysis and machine learning originally developed to track the health of astronauts on long term space missions has been shown to have acquired this very human capability. “We have all had the experience of hearing tiredness in a person’s voice. Somehow, they sound different to normal and less alert. Even a single sentence spoken over the phone can be enough for you to say ‘you sound tired, are you OK?’” The voice analysis system, iVOICE, has been developed at the Centre for Space Medicine at University College London (UCL) to gauge a person’s level of tiredness simply by listening to his or her voice for some seconds. On published tests, iVOICE was able to detect significant fatigue with an accuracy of 90% once tuned to individual voices. Being just a software algorithm iVOICE can be installed wherever there is a capability to make voice recordings onto a computer, either in bespoke systems installed in vehicles, or via existing telecommunication channels to a system in the cloud. 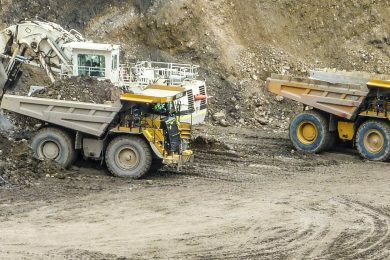 The technology has been tested by fatigue management company WOMBATT with mining haul truck drivers at a mine in Peru to demonstrate that the system can work in a haul truck cabin as well as it can aboard a spaceship. WOMBATT are commercialising the technology in partnership with University College London – Centre for Space Medicine and Datasat Communications Ltd.